One hundred years ago today, on 24 November 1918, the first Estonian postage stamp was issued. To mark the centenary, the Estonian National Museum (ENM) is chronicling some of the most fascinating moments in Estonian postal history with a virtual exhibition “The Estonian Postage Stamp Centenary”. Although the Republic of Estonia was proclaimed on 24 February 1918, the country’s first stamps were issued only eight months later. For several months, independence was interrupted by a German occupation. On 18 November 1918, the Postmaster General Hindrek Rikand and Secretary Eduard Laaban came knocking at the printing plant of Bernhard Mäns, with an urgent proposal that the first Estonian postage stamp be printed. With no time to find an engraver, Zero decided to use the templates of the German tax stamps printed in spring the same year. 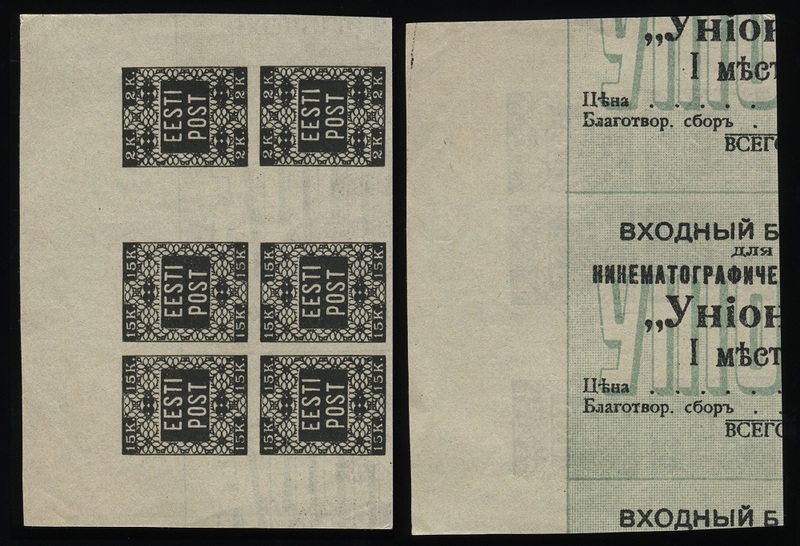 Thus, the design of the first four Estonian postage stamps resembles that of the two German revenue stamps. This virtual exhibition was put together using the ENM’s postal history collection and materials from the National Archives and private collections. Next year, the exhibition will have five following parts. See the exhibition here. This is the first virtual exhibition by ENM in English. The exhibition was produced by the curator of ENM, Eve Aab in cooperation with the International Estonian Philatelic Society.